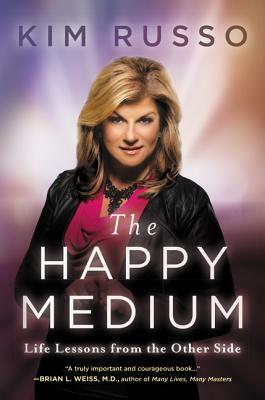 Kim Russo, known as “The Happy Medium,” is the star of Lifetime Movie Network’s most popular show, The Haunting Of . . . , as well as the series Psychic Intervention. She has previously appeared on A&E’s hit shows Paranormal State and Psychic Kids and on The Biography Channel’s Celebrity Ghost Stories: The Haunting of Loretta Lynn. Kim also enjoys speaking at hundreds of engagements across the country, addressing eager audiences of all different ages, religions, and beliefs. She won the 2015 title of “Best Psychic on Long Island” from the Best of Long Island Press.